About Classical Christian Education: What is the Trivium? New Covenant School affirms that God’s truth encompasses all truth. God has communicated His truth to us personally in the Lord Jesus Christ and specifically in the Bible. The fear of the Lord is the beginning of knowledge (Proverbs 1:7). Therefore, we acknowledge that God is the starting point for all knowledge, and His glory is the ultimate goal of instruction. 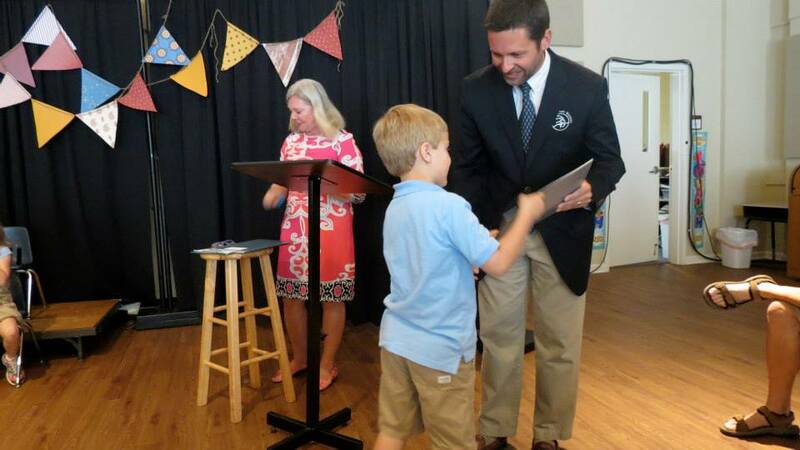 Believing that God has given the parents the primary responsibility for educating their children, New Covenant School is designed to be a tool for parents. Our curriculum and instruction integrate all subjects with historical Christianity and the teaching of Scripture in uncontrived, natural ways. We want the students to adopt a truly Christ-centered worldview and to seek the fruit of the Holy Spirit in their lives. Part one: Grammar, the fundamental rules and data of each subject (e.g. Multiplication tables, reading, spelling, historical dates, and vocabulary). This period of learning corresponds with the elementary years of a child’s development when observation and memory are most keen. All subjects can be broken down into a foundational set of basic facts and rules. These rules are referred to as the grammar of each subject. Students at New Covenant learn and use the tools that will serve them in the later stages of the trivium, when reason, analysis and expression are realized. Knowledge is absorbed collectively and forms the beginning of a more complete and full Christian understanding of our world. Part two: Logic, the ordered relationship of particulars in each subject (e.g. the basics of reason, values, principles, and logic). Students will use the tools they have acquired to develop understanding and advance theories and arguments based on logical processes. Students will ask questions and develop their own answers systematically. This process is integral to the growth and exploration of a child’s imagination: the basis for learning in the final stage of the trivium. Part three: Rhetoric, the means by which grammar and logic are expressed clearly (e.g. speaking and writing in a winsome articulate fashion). The Rhetoric stage affords students with a level of freedom to explore self-expression, creativity and scholarly appreciation. Students learn to express themselves with excellence, applying digested and investigated materials in open presentation. The result is informed, engaging and articulate students who are representative of the excellent, Christian education provided them at New Covenant. The mastery of this method of learning provides the most thorough foundation for growth and success in each subject of study, in defending the Christian faith and in living as a responsible, discerning citizen of the Kingdom of God for the glory of God. This method is designed to produce knowledge, values, and skills that equip students to serve effectively and live responsibly in a rapidly changing world.